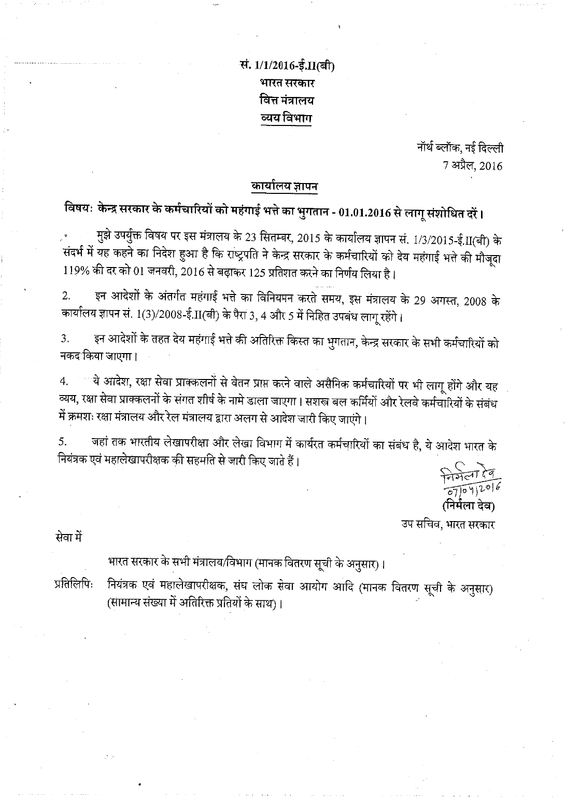 Payment of Dearness Allowance to Central Government employees - Revised Rates effective from 1.1.2016. Dated the 7th 'April, 2016. Subject: Payment of Dearness Allowance to Central Government employees - Revised Rates effective from 1.1.2016. The undersigned is directed to refer to this Ministry‘s Office Memorandum No. 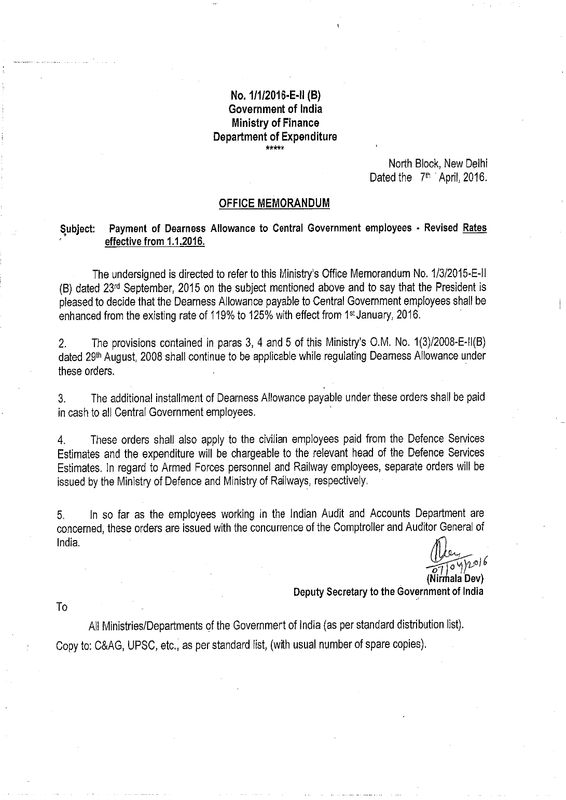 1/3/2015-E-ll (B) dated 23rd September, 2015 on the subject mentioned above and to say that the President is pleased to decide that the Dearness Allowance payable to Central Government employees shall be enhanced from the existing rate of 119% to 125% with effect from 1st January, 2016. 2. The provisions containedin paras 3, 4 and 5 of this Ministry’s OM. No. 1-(3)/2008-E-II(B) dated 29th August, 2008 shall continue to be applicable while regulating Dearness Allowance under these orders. 3. The additional installment of Dearness Allowance payable under these orders shall be paid in cash to all Central-Government employees. 5. ln so far as the employees working in the Indian Audit and Accounts Department are concerned, these orders are issued with the concurrence of the Comptroller and Auditor General of India.